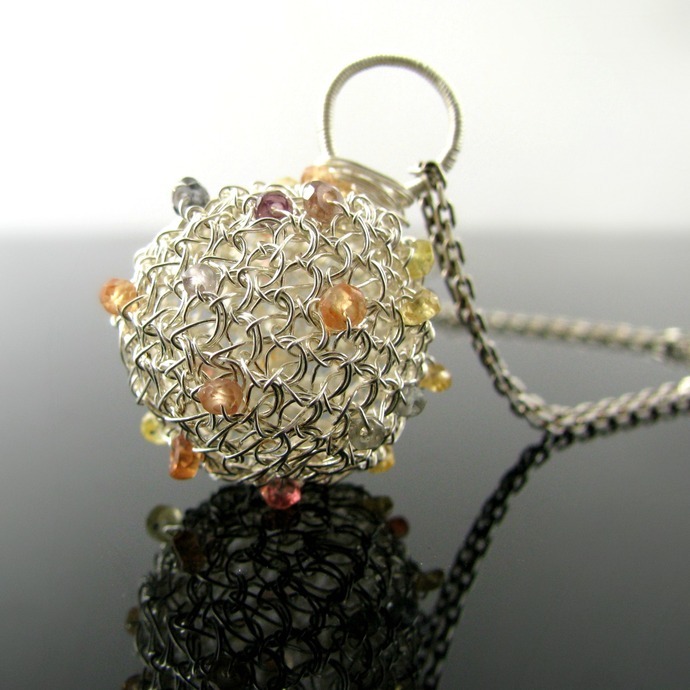 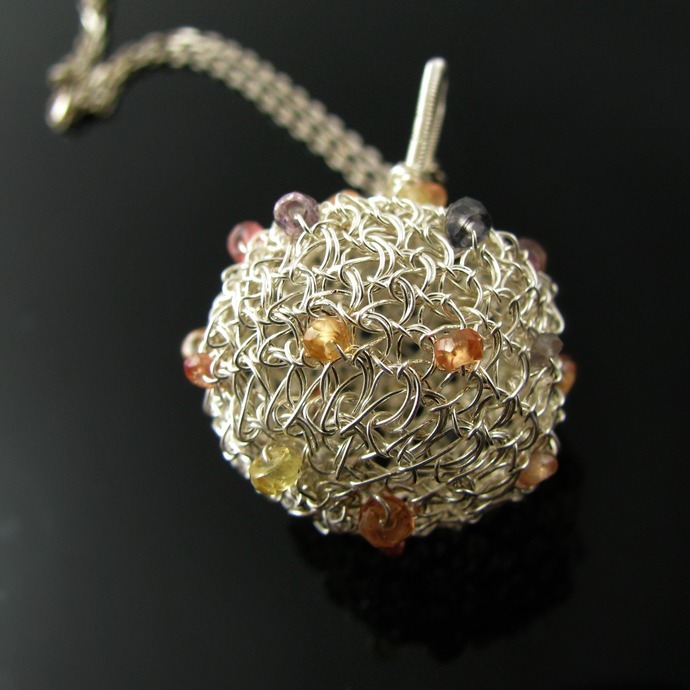 This playful and lacy ball pendant is hand crocheted from fine silver wire and dotted with beautiful little faceted sapphire rondelles in different colors. 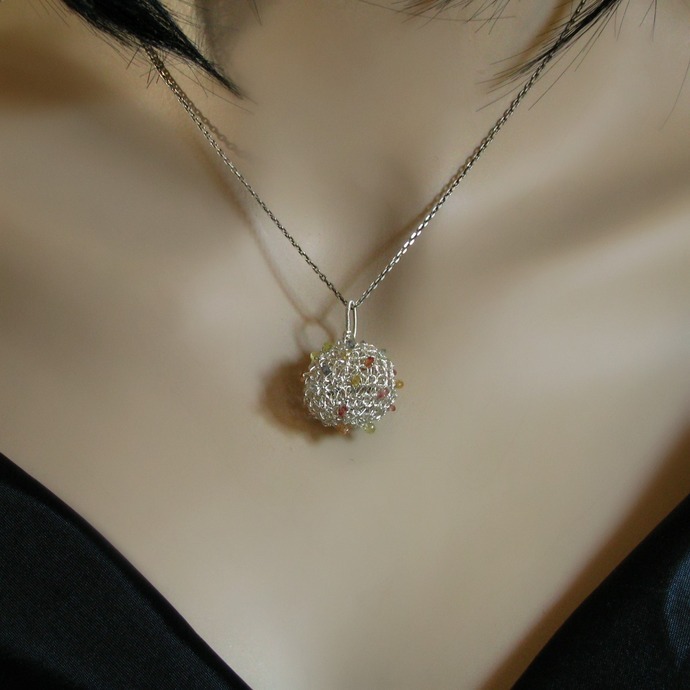 It's a very soft, feminine, and beautiful design fitting all kinds of outfits for every day - and every night. 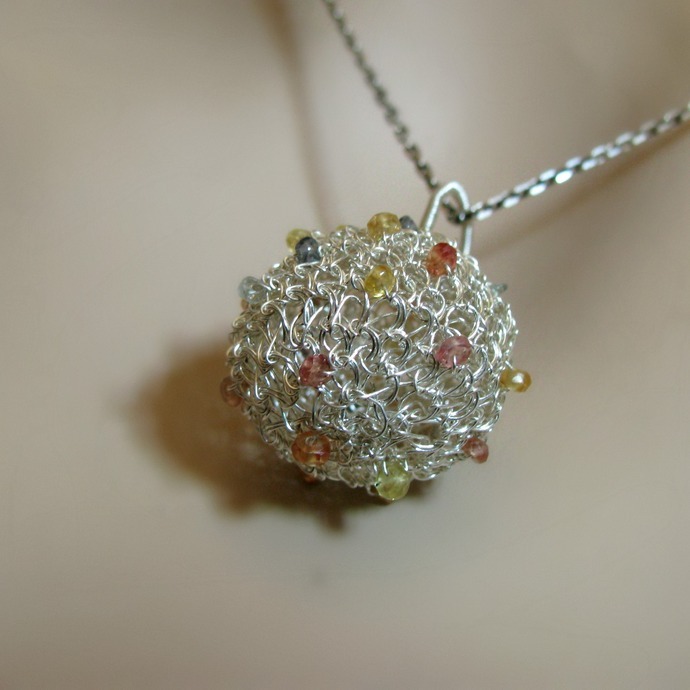 Including the handwrapped bail this pendant is 3 cm or 1 1/4 inch high. 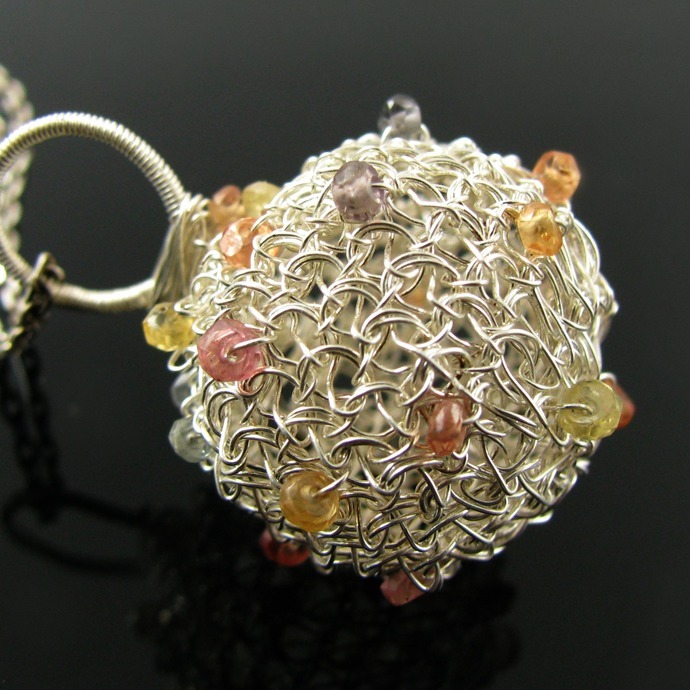 The chain pictured is not included.